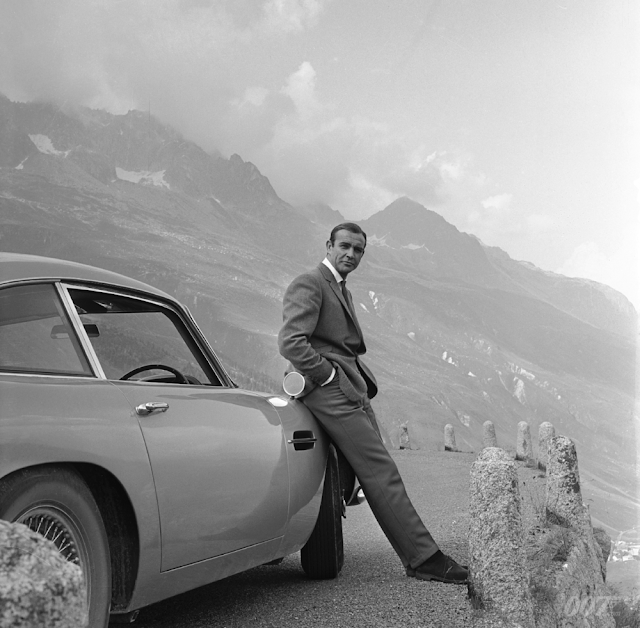 Ian Fleming’s "Goldfinger" (1959) novel specified that Bond drive a gadget-laden Aston Martin DB Mark III for the chase across Europe. The Mark III was introduced in 1957, the year before Fleming wrote Goldfinger. In preparation for the filming of "Goldfinger" (1964), production designer Ken Adam and special effects’ John Stears visited Aston Martin Lagonda to make a deal with them for a car. 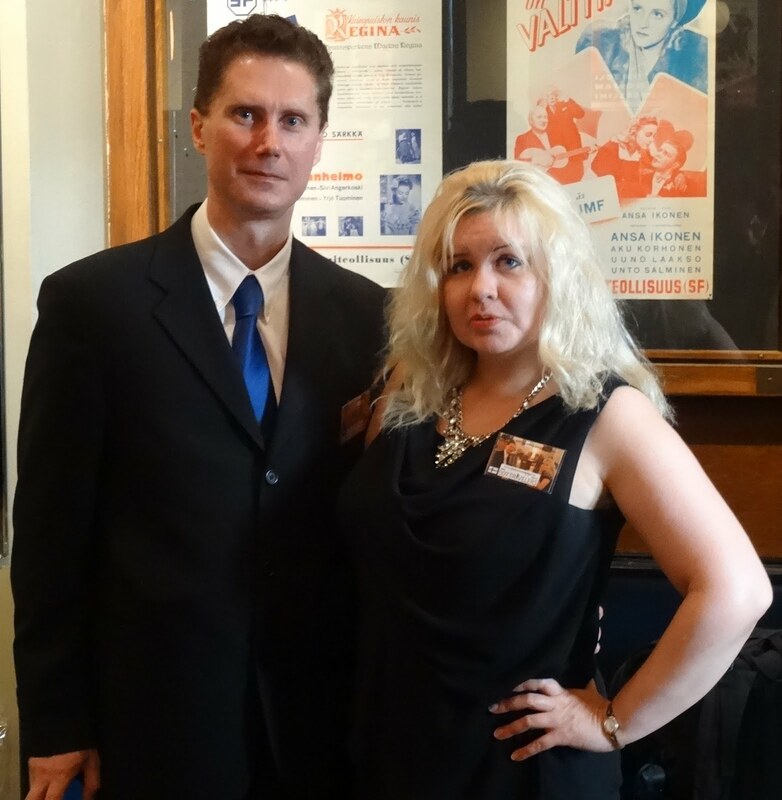 On their visit they fell in love with the DB5 prototype and managed to secure it for the movie. 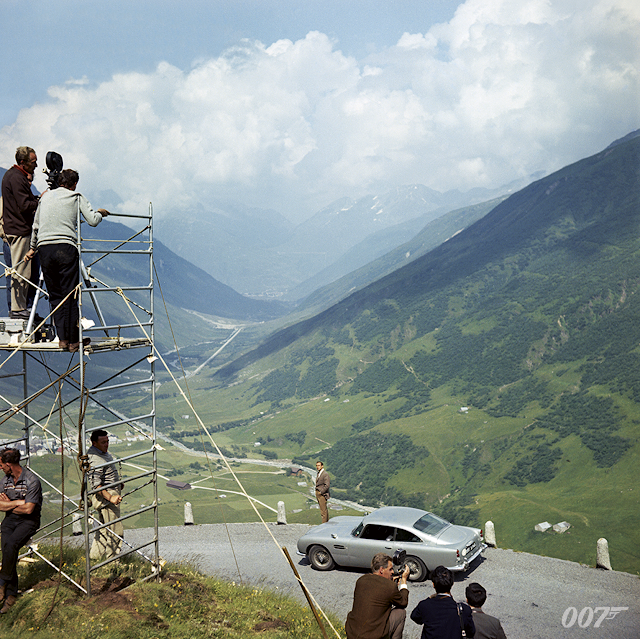 The DB5 returned in "Thunderball" (1965), repaired after Bond’s crash in "Goldfinger" but then didn’t appear for another 30 years until "GoldenEye" (1995). A version of the iconic car was also featured in "Tomorrow Never Dies" (1997), "The World Is Not Enough" (1999), "Casino Royale" (2006), "Skyfall" (2012) and "SPECTRE" (2015). 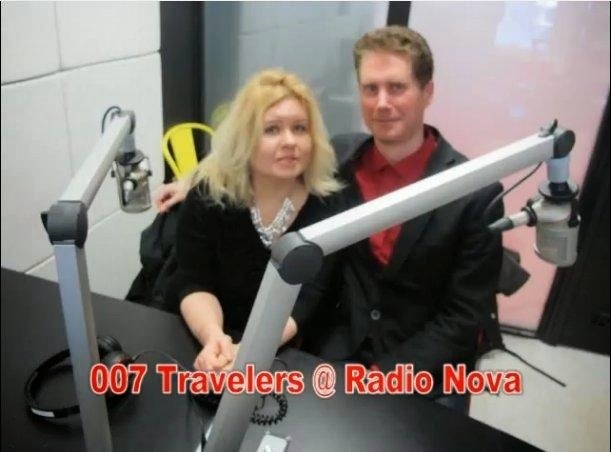 Photos: 007.com (except the photo of 007 Travelers in "Bond in Motion exhibition in London, England", photo © 007 Travelers. The Aston Martin DB5 is actually a luxury grand tourer that was made simply by Aston Martin. Released in 1963, it was a great evolution from the final number of DB4. 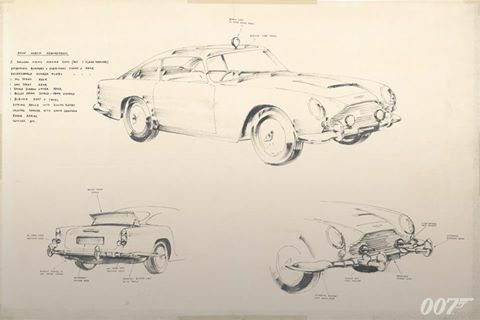 The DB series was called honouring David Brown (the head of Aston Martinfrom 1947-1972). The DB5 is famous for becoming the 1st and most recognized cinematic Mission impossible car. The Aston MartinDB5 is known as a luxury grand tourer that was made by simply Aston Martin. 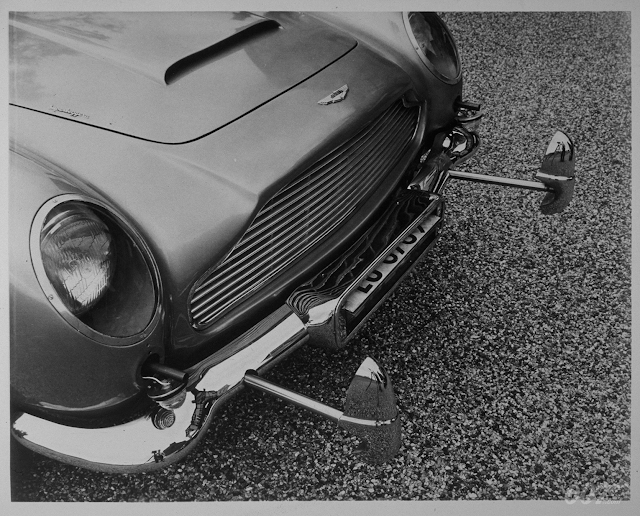 Released in 1963, it was a great evolution in the final group of DB4. 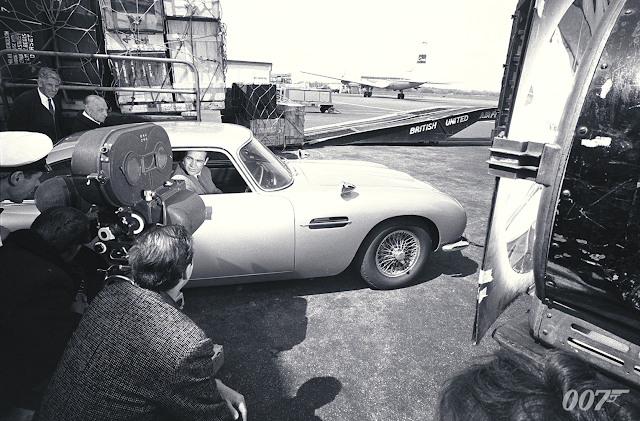 The DB series was known as honouring David Brown (the head of Aston Martinfrom 1947-1972).